BAE Systems need very little introduction. They are a global defence, aerospace and security company employing nearly 90,000 people worldwide. Their wide-ranging products and services cover air, land and naval forces, as well as advanced electronics, security, information technology, and support services. 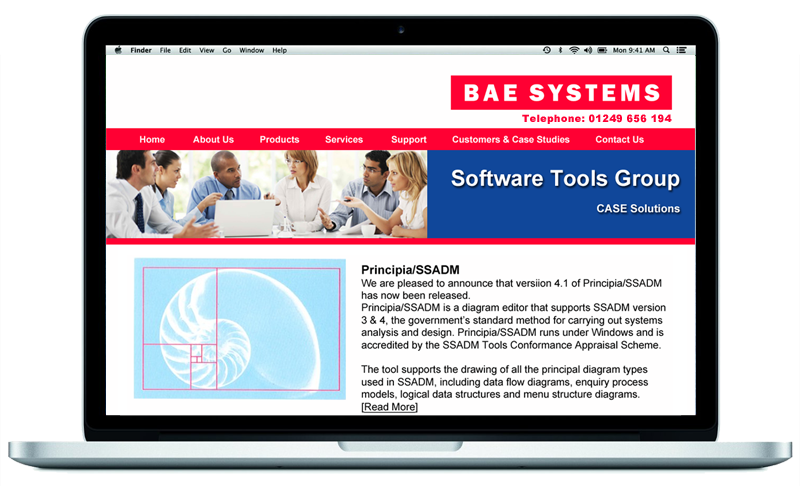 InForm Web Design developed a website for BAE Systems Software Tools Group (STG) to promote their range of CASE tools. The website was hand coded in HTML and was one of the first launched for this global corporation and for ourselves. The site went live in 1996 and even pre-dates Search Engines such as Google. Search Engine Optimisation hadn't even come in to being at the time and the technical headache was one of loading graphics quickly over slow dial-up modems.